In this tutorial you are going to learn how to change google search language which is essential if you want to successfully search for words in another language. 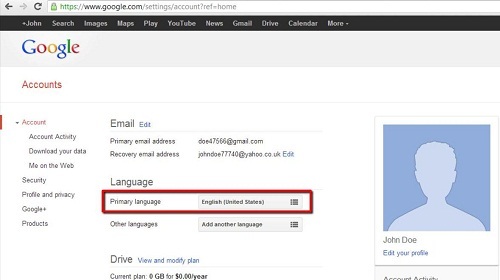 Visit “www.google.com” and make sure that you are logged into your account. Click on your username in the top right corner and in the window that appears click the “Account” button. This will take you to the main settings page and you can see a section dedicated to “Language”. 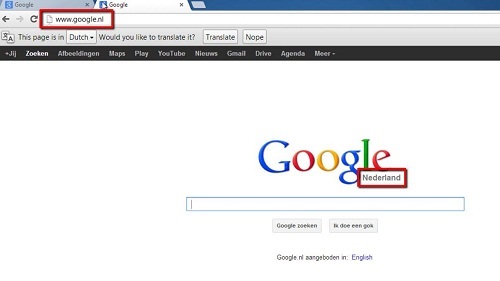 In the “Primary language” box select the language that you want to search in, here we are selecting “Nederlands”. Click “Reload” in the yellow box that has appeared at the top of the screen. You will notice that the bar at the top has changed language. In this bar click on the second text along from the left, in this case “Zoeken” – which means “Search” in Dutch. You will be directed to a search page which will allow you to search Google in the language you have selected. That is how to change google search language but there is another, potentially quicker, way. You do need to know the country level domain of the language you want to search though, for example “.nl” for Dutch, “.de” for German etc. 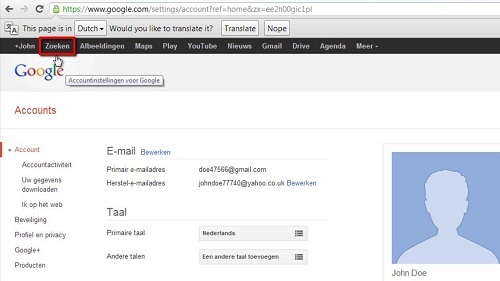 Here we can see that when we visit “www.google.nl” we visit the Netherlands Google and are able to search in Dutch.